Respektables Album mit tollen Singles "Only To Be With You" und "This Generation". 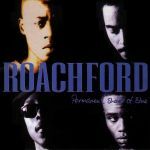 For some reason, I always thought Roachford was older but they are not - this is a strong album and one with several very well known songs. My favourite of the singles was Lay Your Love On Me, and I'm still very fond of that one. The latter half of the album contains some strong ballads that really showcase Andrew Roachford's voice, the string of I Know You Don't Love Me, Do We Wanna Live Together, and Cry For Me are a highlight here and pull the album up as a whole for me. Solid stuff, that I would listen to again without hesitation. 4.5/6. Hat das Zeug zum Klassiker. Mein bislang einziges Album der Band, werd mir aber noch weitere zulegen. Empfehlung!